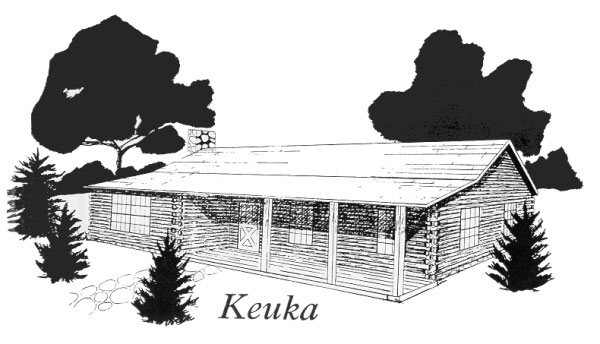 The Keuka model log home is one of our most popular ranch homes. The 3 bedrooms make it ideal for a small family as well as for a retirement home for those who don't want stairs but having the bedrooms for when family and friends visit. 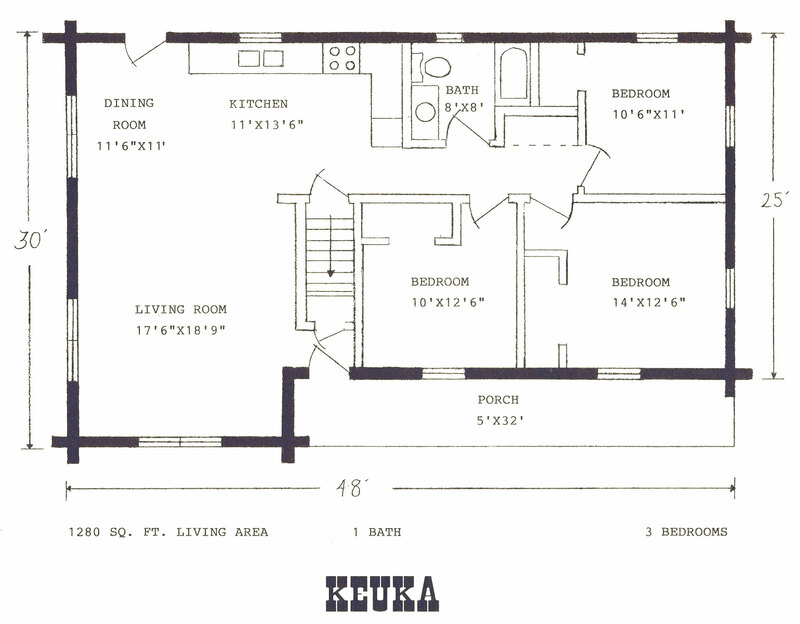 It has an open dining room/living room area that can have the standard flat ceiling or upgraded to a cathedral ceiling. The porch is build right into the roof system and will let you enjoy the outside and be protected from the elements. Price includes materials only, see What's Included.